A few more details have come to light on the release of Javier Glatt and Jason Jimenez since our first post on the news. Wally Buono was on the TEAM 1040 Friday, shedding some light on the moves. 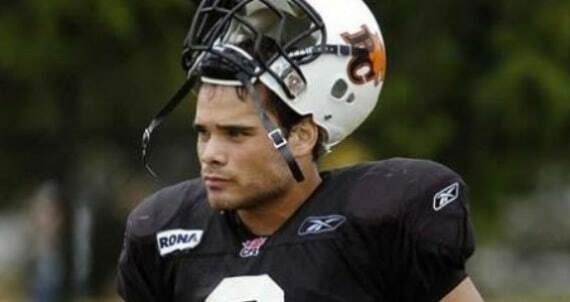 In the case of Jimenez, it appears the decision was based on more than the 2008 CFL All-Stars play on the field. Buono told the Team’s David Pratt that Jimenez was unwilling to play the way the coaches wanted him to play. On Glatt, Buono said it was the fair thing to do for the player, and hinted that if Glatt was unable to find a starting role elsewhere, he hoped that the door was open for him to return to the Lions in some capacity. Glatt had asked for his release if he wasn’t going to be a starter. Glatt took the loss of his starting role in stride last season and saw a fair bit of rotation behind Jojuan Armour. He was a team player and didn’t rock the boat, so granting him his release was the fair thing to do for him after seven years of service. Glatt issued a statement posted on BCLions.com thanking the organization and the fans. “I would like to thank the BC Lions Football Club and its fans for the amazing opportunity to live out a dream for the past seven years. I have met so many incredible people along the way and have built relationships that will last a lifetime, and for that I am truly grateful,” Glatt said.